This weekend was amazing at the Ashram...this place is seriously becoming my second home. On Saturday, I took a Restorative Yoga class. I have to be honest; before taking this class, I had some preconceived notions about it. I never took this style of yoga before and when someone asked me last week what it was about, I would joking answer “Adult Napping”. These misconceptions were soon erased. I appreciated the fact, that the minute we walked into the ashram, the incense was burning and Michele was playing soothing music…it instantly told my body to relax. She thoroughly explained all the postures we would get into and was very attentive in using various props to adjust us. She was very good in positioning my body, for it to completely melt into the mat. At some points it felt like my body was floating and when my palms were facing up, I could feel energy pulsating through them. I thought that the class would drag and I would become restless since it was an hour and a half but it flew by. Before I knew it, we were done and my body felt completely relaxed. The next time that I take a restorative class, I need to control my mind a little better to fully embrace the experience. I had to constantly remind myself to think “So Hum” to bring myself back to the present moment. 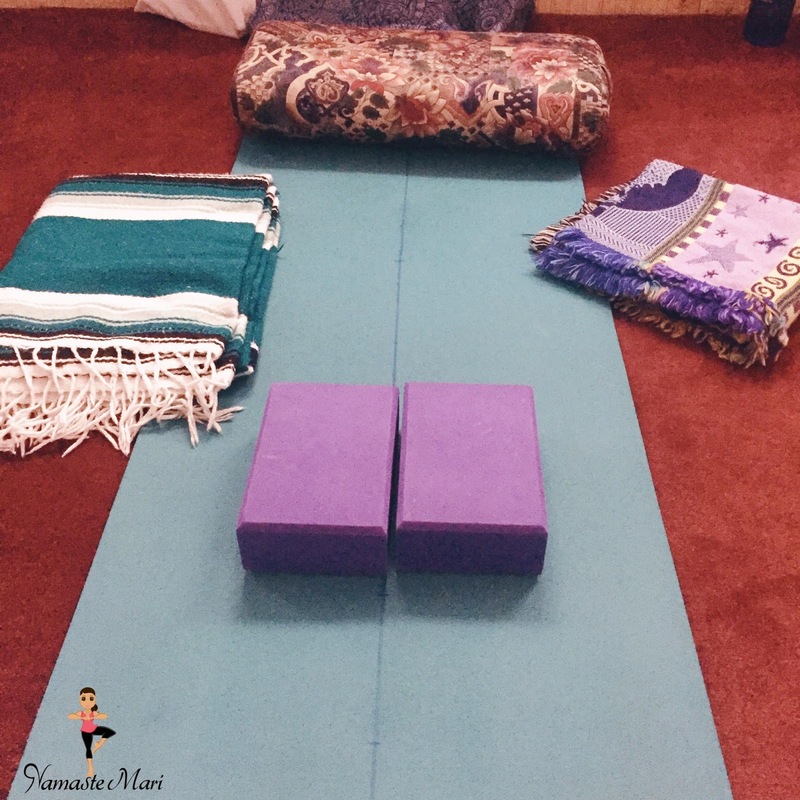 I think that I will be adding more restorative classes to my routine…it was a wonderful experience and like I said right after “that was delicious”. On Sunday we had a guest speaker at Sunshine Lecture, Mark. Mark spoke of "The Joy Of The Unknown". This topic intrigued me because as someone that suffers from anxiety, I tend to fear the unknown and want to make shifts to change my perspective. Mark reminded us that Faith is what helps you not fear the unknown and that we can set our intentions but we can't be attached to them. Not everything will go our way and we have to remember to not waste our energy on things we can not change because everything happens for a reason but we don't need to know the reason just yet. "Energy goes where intention flows". One thing that stuck out to me was when he said that we need to stop making the "what if's" into something negative and instead think "what if I succeed...what if this is right for me, etc"
Or like my tattoo says "What if I fall? Oh, but my darling, what if you fly?" 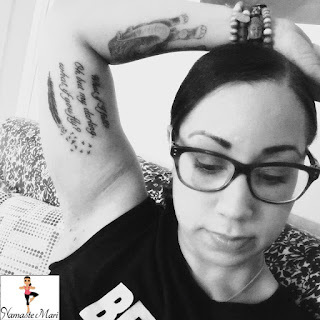 As Mark, said "everything happens for a reason but we don't to need to know the reason"
Watch my vlog below where I discuss more about the restorative class and of course other rambles.